A compass is a direction finder. There are many different types of compasses, but most identify the direction to the north (or south, for those below the equator) with a red needle point. 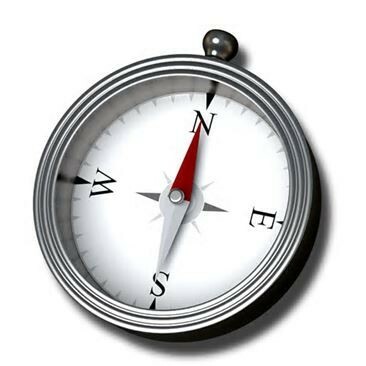 A compass has a red needle that always points North, the Magnetic Pole, due to the amount of magnetic force it gives off. But compass needles will also be pulled by the nearest magnetic force, like computers or an actual magnet. If you're going to use a compass in the first place, you should have a good idea of which direction you're supposed to be going. If not, you should use a GPS. The compass is affected by the Magnetic Field, an invisible force that is produced by electrical charges. The field is generated from the motions of Earth's outer core, which is made of iron. The effects change slightly over time. So much as the Poles slightly wandering out of place, but not too far for them to be out of place completely. Shows how the Earth's poles are sliding out of place. 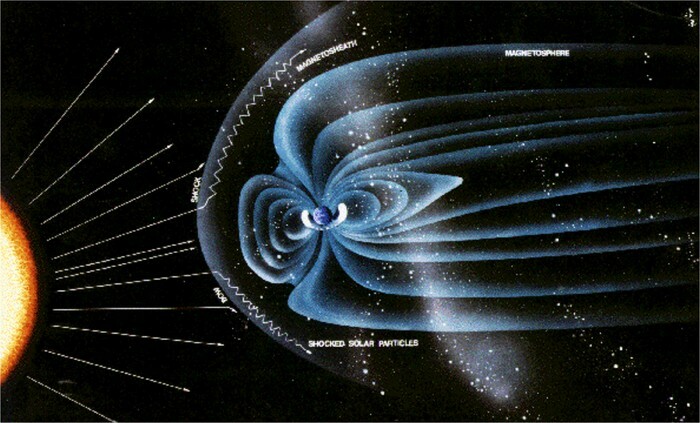 A more detailed image of Earth's Magnetic Field. 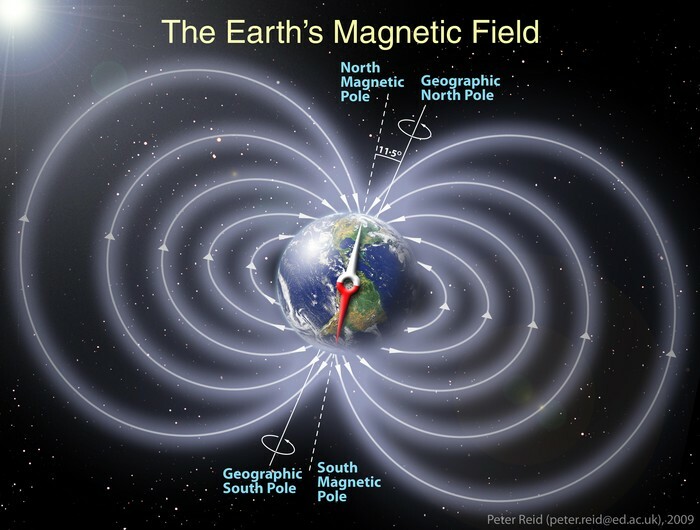 Compares the Earth's Magnetic Field with a magnet's. Hold the compass with your hand flat. Let the needle find adjust so that the needle finds north. Use it to find out exactly which way you need to go.